There is nothing quite like history shivering down your spine. I find natural history speaks the loudest. It's there for you to see. How the winds and storms have sculpted monuments in their splendid poses. And if you are truly receptive you might feel the goosebumps of the people who might have once sunk their feet in those very sands. Scratched their elbows on those very rocks, and foresaw their progeny from those very cliffs. Geological formations always stir that something ancient within me. I hold them in awe. They capture my imagination so strongly, that sometimes I feel like I am living another era. And it's the sandstone formations that completely captivate me. They are so dramatic. The sweeps, the strokes, the powerful hues, the resonating histories. In the windmills of my mind, I see myself as this mystical warrior princess, galloping through the canons of Utah. Meditating atop the Petra monastry. Laughing as my Prince moors his ship by the Painted Cliffs. The alternative canvas of my life. As an explorer I don't see myself chasing animals, or oceans, or mountain peaks. I see myself chasing rocks, and canyons, and tectonic faults - starting with Sandstone formations! I want to take you through some of these. You might remember Petra from the new seven wonders of the world campaign. 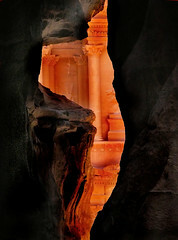 It's a 2000 year old city in Jordan carved out of sandstone rock face flanked by stunning sandstone mountains. 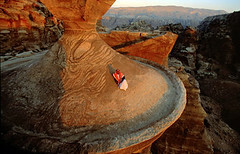 The Nabataens very smartly married human skill with natural art. The entrance of Petra is via a gorge called Siq . What makes Siq such an amazing thing is that it is a natural geological fault produced by tectonic movements. I like to think of Siq as a punk-rock look for the Sandstone world. If Petra seems so gorgeous through just the imagery I see, I can't imagine how it must be to actually be there and walk through those paths. Okay...let me speak less and show you more! 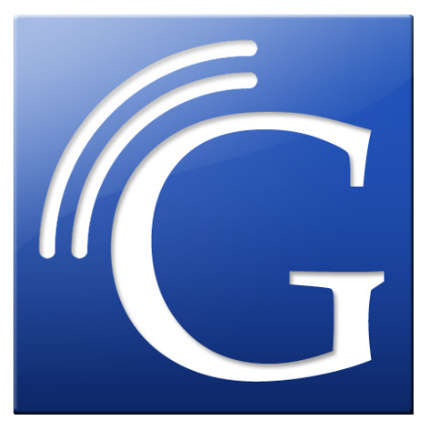 Psst: Click the images to view full size. 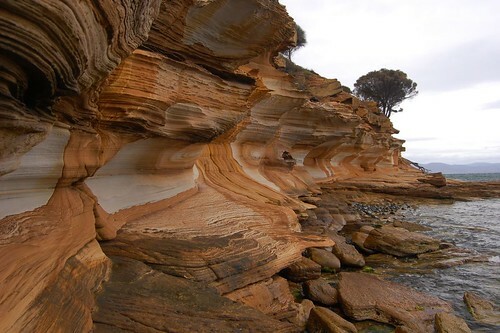 The Painted Cliffs are found on the Maria island of Tanzania in Australia. They remind me of a Vanilla marble cake sprinkled with some caramel yellow. This shade makes them unique. 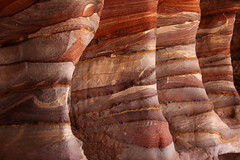 Most other sandstone formations border on strong orange or Ochre, but with the Painted Cliffs you will see swirls of light turmeric yellow with pale pink icing. Painted Cliffs sound all the more exciting because they swirl above the seashore, and to get the best view of the cliffs you have to trek along the rocky base by the Ocean. This will be my explorer's pilgrimage to Northern America. 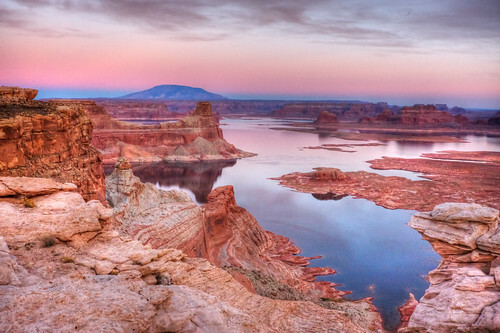 The Glen Canyon group is a sprawling set of formations across the USA (Nevada, Utah, Arizona) and part of Mexico. Of all the brilliance that dots the North American landscape, this is my calling. This is probably what John Denver is singing about! There are four main formations in the group and my favourite is the Jurassic Navajo sandstone (a.k.a The Wave - Arizona). It's just breathtaking. 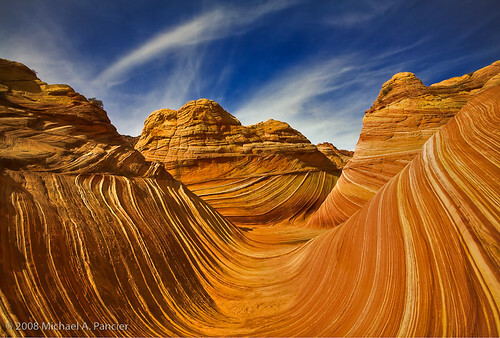 The Wave is found at the slopes of the Coyote Buttes on Navajaho land. 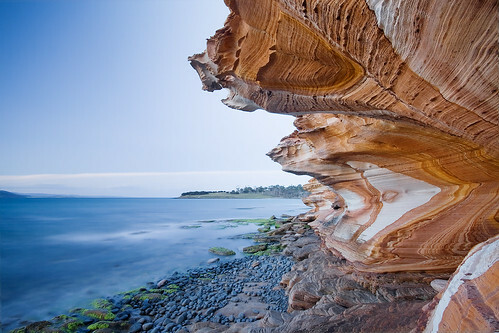 The Wave is made of Jurassic-age sandstone that is approximately 190 million years old. Hiking to The Wave is supposed to be quite an adventure because there is no formal trail and many people lose their way! The Totem Pole is a prominent feature in the Monument Valley which is found in the Colorado area. When I go there, I am either going take that ride on horseback or maybe just hop on the hot air balloon! The Fisher Towers is most famous for its rockclimbing challenges. So therefore I shall only view and photo it. 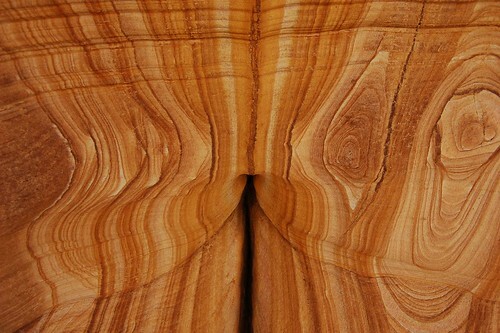 I find the Antelope Wave so sensual in its appearance. 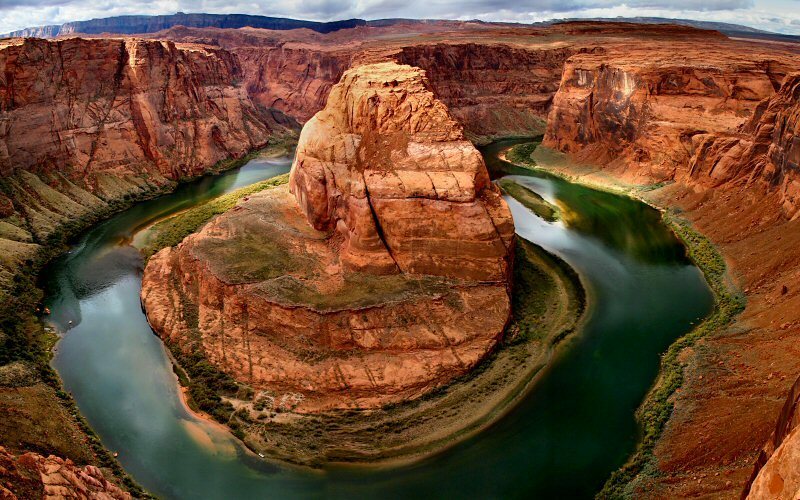 Similar to the Arizona Wave it's an unbroken undulation of wind and water weathered sandstone. Over millions of years! Masterpieces are not made so quick people! And how many times have we seen the Delicate Arch in those stunning starry night photographs. I don't know what makes it special, but I am curious to find out. PS: This one is for Musheer. We probably are the only siblings who fought over who owned the rocks! Nice...got to see a lot of gorgeous rock formations.